There are other possible, but less common, triggers for tinnitus, too, such as Ménière’s disease, a condition that leads to abnormal fluid pressure in the inner ear. TMJ disorders may also be at the heart of that phantom sound. For some, the noise is a consequence of a head injury that damaged the nerves in the ear. It might also be a sign of high blood pressure, a rare tumor in the ear or a side effect of a medication. The first step is to get a hearing test and ear examination to find the root cause of the problem. Once you treat the underlying condition, like getting hearing aids, the tinnitus may become less prevalent or disappear completely. 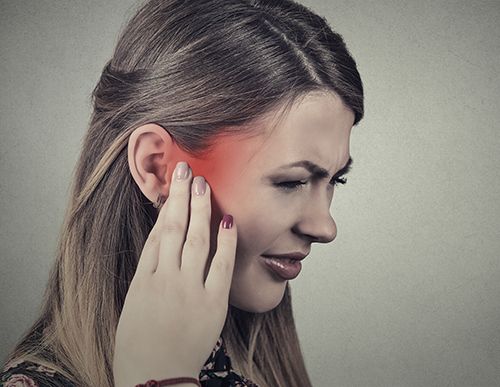 Tinnitus is usually a sign of hearing loss that may be affecting your life in other ways, too, like isolating you during conversations or leaving you feeling like you are missing things. Once you identify your hearing loss, then getting hearing aids increases real sounds so the phantom ones are less of an issue.